We are a noteworthy organization in the domain, occupied in providing Biogas Digester. We have risen to prominence in offering Biogas Digester to our clients. This product is manufactured using supreme grade basic components and pioneering techniques in tandem with industrial standards. 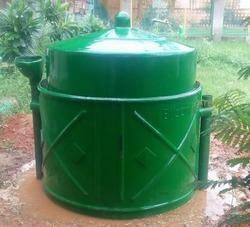 Biogas Digester is offered to customers in various sizes, dimensions and other technical specifications. The constant pressure double membrane type gas holder dome are designed to collect and accumulate biogas directly over the anaerobic digester tanks. Gas holder domes are used in civil, industrial and agricultural plants. They can be used with different quality of materials and shapes to suit the needs of customers. We manufacture Biogas Digester Holders for all type of applications Domestic/Industrial. 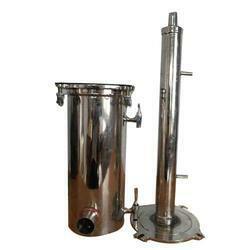 We can make this Biogas Holders to any size or shape as per the requirements of the customers. Our Biogas Holders are highly cost-effective and Long-Lasting. These types of digesters are effective source to manage the city wastes particularly obtained from the Vegetable market or Slater houses.